All iWL and iCT card payment machines from Phoenix Terminals are approved by the following UK acquirers: Barclays Merchant Services, Global Payments, FDMS, Worldpay, Lloyds Cardnet, American Express, Diners Club, Japanese Central Bank. 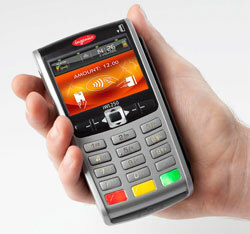 Currently the Move3500 is only approved for use by FDMS and Lloyds Cardnet customers. Please note that you can arrange to process card payments through any of the above acquirers, regardless of which bank your business account is with. Whilst we have no preference as to which acquirer you use, we would be happy to introduce you to an acquirer who can discuss Merchant Service rates. Each Phoenix Terminals card payment terminal is supplied with everything you will need to start processing credit and debit card transactions immediately (including battery, charger and one thermal paper roll). For additional supplies, please see our Supplies & Sundries section below. We are pleased to offer our customers the very latest in contactless card payment terminal technology – the Move3500 from Ingenico. Boasting 2G/3G/Bluetooth/Wi-Fi connectivity, this is Ingenico’s fastest machine yet, enabling seamless payment transactions whatever the connection method. The mobile version negates the need for – and added expense of – a landline. The Bluetooth and Wi-Fi versions require a broadband connection. The pocket-sized Move3500 handset weighs a paltry 320g, yet still features a large colour display and robust backlit keypad for ease of use. Not only can it process payments almost anywhere, it offers extended battery life and operates effectively in temperatures between -10c and 40c, making the mobile version the ideal card payment terminal for show traders and businesses with a workforce out in the field. The flexibility of connection options available to merchants, combined with rapid transaction processing and an exceptionally fast receipt printing speed also means this machine is a favoured solution for busy working environments such as shops, bars and offices. As with all terminals supplied by Phoenix Terminals, security is of the utmost importance – the Move3500 operating system uses the latest cryptographic schemes and is PCI-PTS 4x ready, making it one of the most secure card payment terminals on the market. 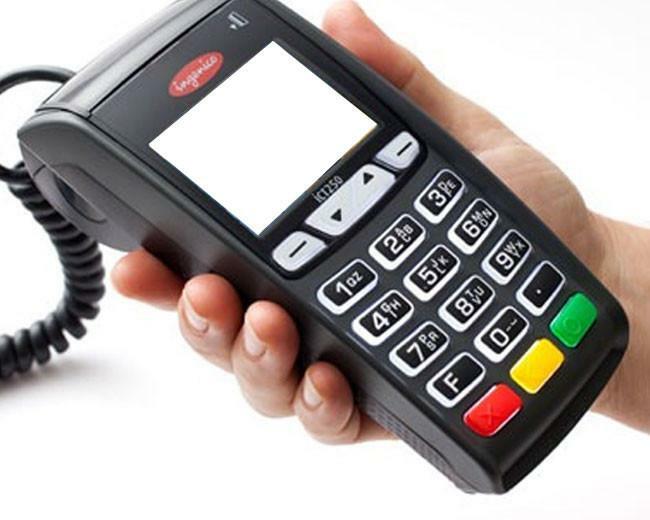 For further information on the Move3500 card payment terminal, or any of the terminals in our range, click here or call us on 01483 480 008. This high-spec contactless card payment terminal is available in a range of options to suit all needs. The colour widescreen and backlit keypad allow easy and intuitive use, whilst fast receipt printing and long battery life ensure this reliable machine is suitable for even the busiest of locations. The mobile model (iWL250G) supports 2G (GPRS and GSM) connectivity for continuous coverage, enabling swift and secure credit and debit card payments to be taken without the need for a fixed phone line. Weighing only 285g, this terminal is compact enough to be transported in a pocket and its ability to handle large transaction volumes on a single battery charge makes it a leading choice for merchants wishing to take secure card payments on the go. The powerful Bluetooth model (iWL250B) is an ideal solution for pubs, restaurants, galleries and split-level premises, supporting use via a standard phone line or broadband connection for high-speed credit and debit card transaction processing. The robust yet lightweight handset operates within a radius of the fixed base unit. We are also able to offer customers a Wi-Fi enabled model (iWL258) which must be connected to a secure Wi-Fi network. Click here to contact us about the iWL250 card payment terminal, or any of the other card payment machines we offer. Alternatively, call us on 01483 480 008. A leading counter-top or ‘static’ credit card terminal, the iCT250 combines power, efficiency and security in one compact unit and is ideally-suited to use in most shops and offices. At 83mm x 185mm x 63mm, the terminal takes up a minimum of counter space. Its solid construction, large colour screen and backlit keypad mean that this card payment terminal is more than up to the challenge of constant, everyday use. Similar to the other contactless card payment terminals we offer, this machine features a long-swipe magnetic card reader in addition to the standard smart card interface, ensuring secure payments can be taken in every circumstance. This credit card payment terminal utilises a standard phone line or broadband connection for real-time payment authorisation. As with all the card payment machines available from Phoenix Terminals, the iCT250 is perfect for environments where speedy transactions and ease of use are of prime importance. Click here or call 01483 480 008 to contact us about the iCT250 card payment terminal, or any of the other payment solutions we offer. Phoenix Terminals offer a range of credit card terminal supplies and sundries at competitive prices. These thermal paper rolls fit in all our card payment terminals and are supplied in boxes of twenty. We can also supply replacement paper rolls for many other makes and models of credit card terminals. For compatibility and availability call us today: 01483 480 008. We can supply replacement batteries for all the card payment terminals in our product range. For more information, or to place your order, click here or call us on 01483 480 008. For more information on any of the card payment terminals or sundries in the Phoenix Terminals range, complete our online enquiry form or call us on 01483 480 008.